The BMW Sailing Cup is the largest international regatta series for amateurs and racing and recreational sailing enthusiasts. Nine qualifying races will be held in all of Germany in 2013. 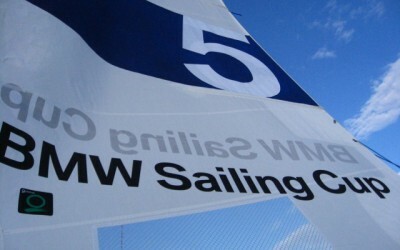 The winning teams will qualify for the BMW Sailing Cup finals in Germany in October. The crew which prevails here is invited to the World Finals to be held in the following season. All boats racing and competition marks are equipped with a small portable FM transmitter easyPOSALERT. Using GPS location reports together with course and speed, the data is sent via VHF radio to a receiver on land, which processes the signals and forwards them to the corresponding WinGPS software. This sailing regatta software allows a visually appealing display using a wide-screen display or video wall.